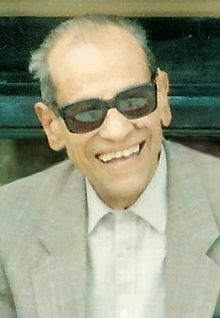 As we revel in reference, we might send thoughtful birthday greetings to Naguib Mahfouz; he was born on this date in 1911. A prolific writer– he published 34 novels, over 350 short stories, dozens of movie scripts, and five plays over a 70-year career– he was one of the first writers in Arabic to explore Existentialist themes (e.g., the Cairo Trilogy, Adrift on the Nile). He was awarded the 1988 Nobel Prize for Literature.